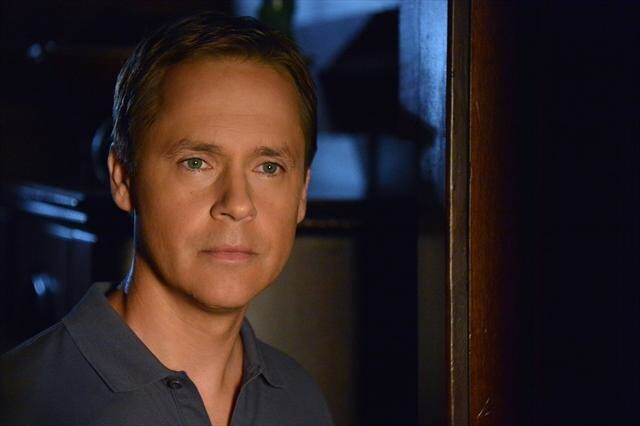 As the Pretty Little Liars summer finale looms on Tuesday, August 11, we look back at our interview with Chad Lowe. The Emmy-winning actor plays the father of Aria (Lucy Hale) and has directed 13 episode of the series. He began by reflecting on what he discovered while first directing the PLL cast, "The four girls, the stars of our show, are as professional as I suspected and as kind as I hoped and even more talented than I thought." This is not Lowe's first time behind the camera. He has also worked on episodes of Bones, Brothers & Sisters and Without a Trace. Clearly he has had experience directing seasoned actors, and he compared the PLL cast to others, "Unequivocally, these girls are as talented and as prepared and as professional as any actors I've ever worked with." He stated, "I already knew that about Lucy," because he works so closely with her. But he does not typically have the opportunity to see the other three girls on set. "Ashley and Troian and Shay, I can't say enough about them. I feel a little paternal pride." He commented that in this day and age where "good things happen to bad people, these people deserve every amount of attention and credit they are getting... I'm just really impressed with them." Lowe described each actress off camera beginning with his on-set daughter, "Lucy Hale's got the heart of Dixie. She is the kindest, sweetest, most sensitive person I've come across in a long time." He noted, "Shay is deeply, deeply committed to the causes she believes in and I really admire that about her." As for Benson, he remarked, "For as much of a jokester as she is, she's fiercely professional and also incredibly loyal to her friends and caring and loving." When it came to Bellisario, who is currently working on a short film and writing a feature, he quipped, "We're all gonna work for Troian some day. It's a fact." The actor/director professed that each of the girls brings her own special qualities to the show. "The four girls are very different off camera, but they each bring certain strengths... but the common denominator is that they're really kind and very conscientious and work very, very hard. And I don't think for a minute [they] take any of this for granted." Lowe rose to TV stardom in the early '90s series Life Goes On. On that show, he played Jesse McKenna who was the boyfriend to Kellie Martin's Becca Thatcher. Lowe won an Emmy for portraying the teenager who had been infected with the AIDS virus. Martin has gone on to starring roles on shows like ER and Christy and Lowe compared his current co-stars to his first leading lady. He noted, "These girls remind me a lot of Kellie at that age... She was just as committed and conscientious and smart and beautiful as these girls are. I see a lot of Kellie in these girls, it's interesting." Tune in to the summer finale of Pretty Little Liars on Tuesday, August 11 at 8 p.m. EST/7 p.m. Central on ABC Family.